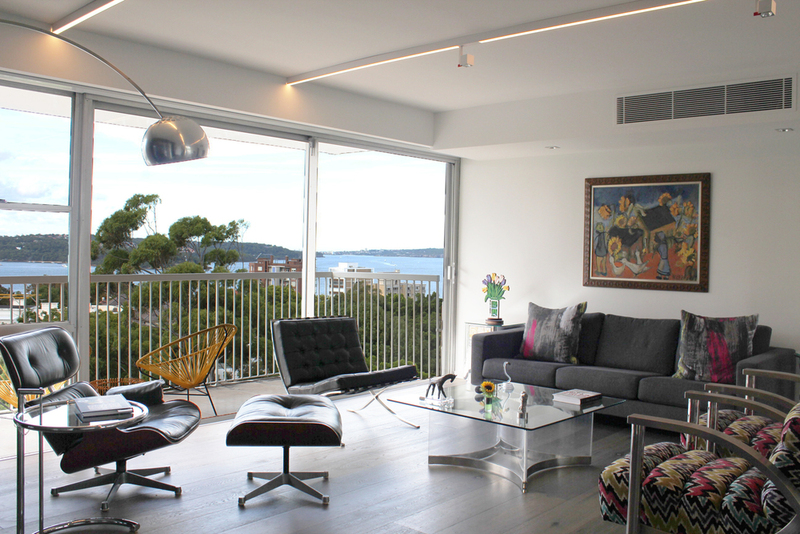 The Darling Point apartment began with the amalgamation of two smaller apartments, both of which were outdated and failed to take advantage of the surrounding view. 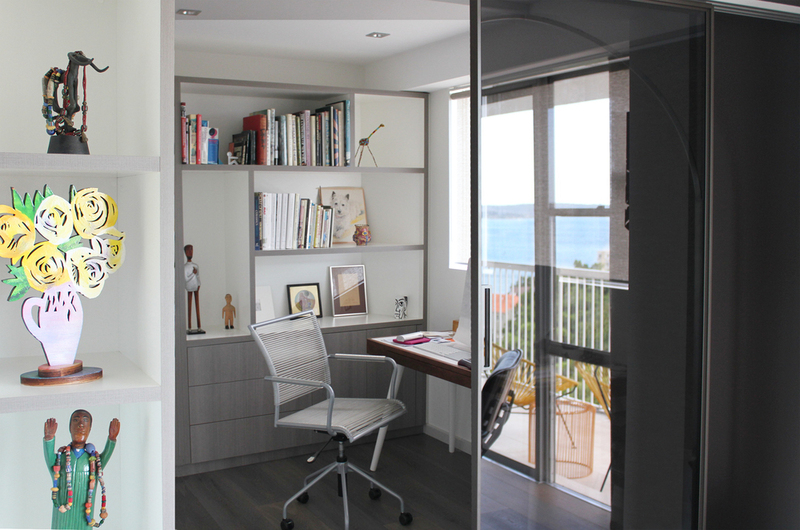 The result was a light filled apartment with 270 degree views of the harbour, two bedrooms, two studies and three bathrooms with a generous open plan living area. 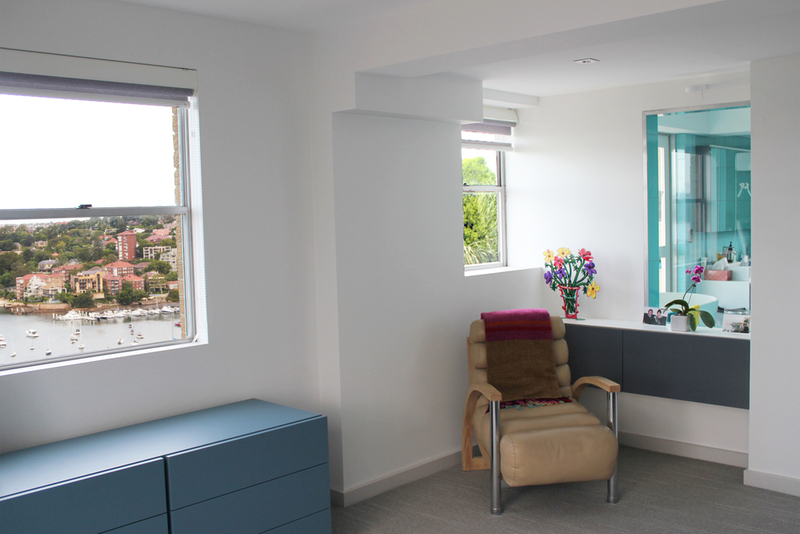 The bold design is a reflection of the owners striking art and furniture collection. 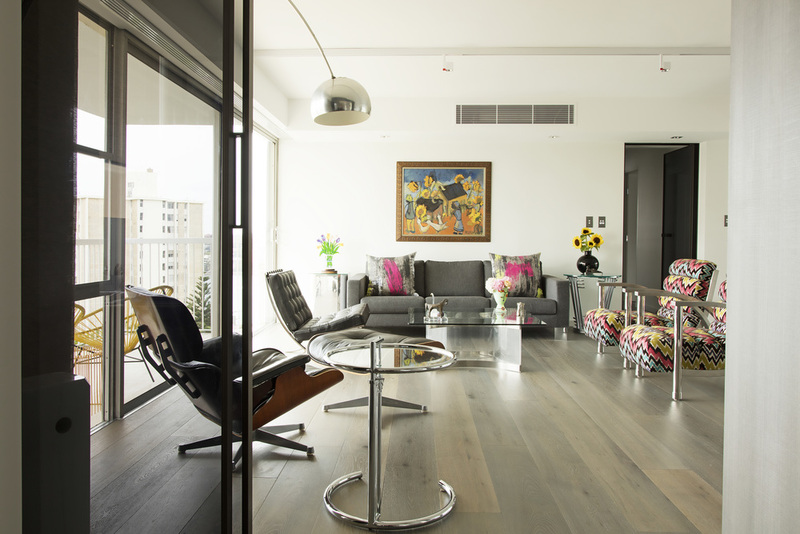 The living area is neutral with splashes of colour to link the art and furniture to the architecture. 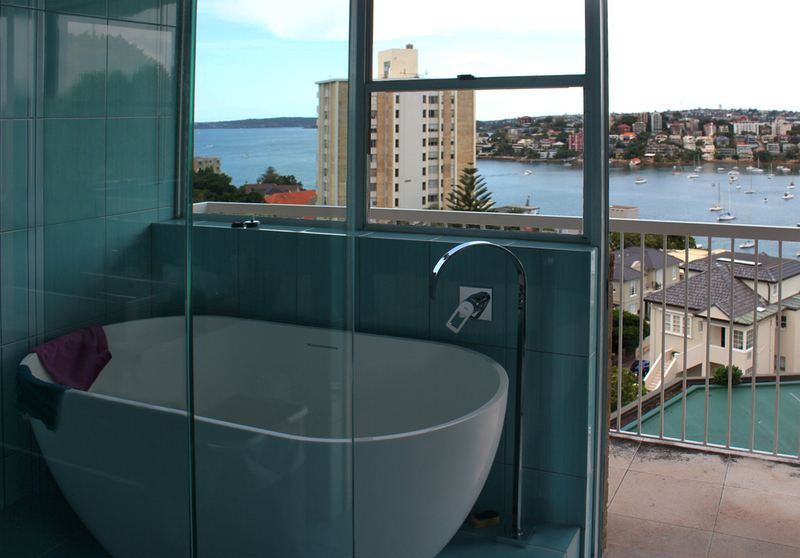 The bathrooms and dressing rooms incorporate a palette of blue and green that are influenced by the views of the harbour.